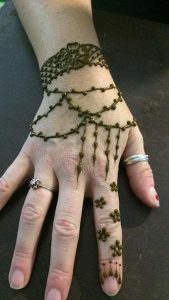 Enjoy the ancient art of Henna or Mendhi but with a modern twist—Henna is an organic plant paste that is applied freehand in a variety of designs both classic and modern. 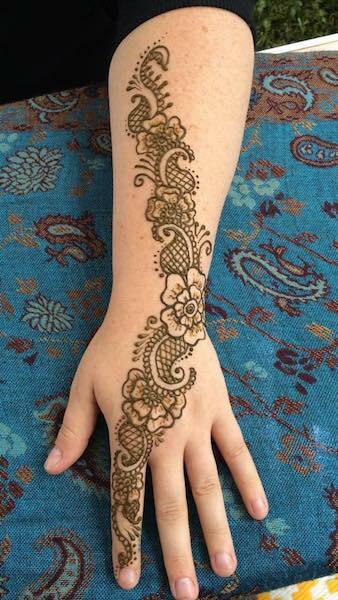 Henna paste needs to dry once applied and is not recommended for young or active children who can not let it dry for at least 15 minutes. It can last up to 3 weeks and stains the skin in a rich brown color.